After selling hundreds of copies and charting for months, we decied to come back with a fresh bundle of this succesful product. Insane collection of over 7GB, packed with Loops, Shots, MIDI files, Kits and Presets. Basically, these are all the tools you need to fasten your workflow, get inspiration, add missing sounds to your tracks, learn stuff and finally make better music. You will find Basslines, Synths, Leads, Arps, Pads, Vocals, Drums, Atmospheres, Effects, Guitars and completely everything else. Over 3400+ files in total, Key and BPM labelled, 100% royalty-free content. Compiled from all best sample packs, special discounted price. 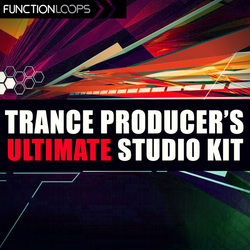 If you are already producing Trance, then this bundle will take your tracks to completely different level. If you want to start out, then this is your ticket to the show. All files grouped into Separate folders such as BASS/SYNTHS/DRUMS/FX etc. - Bundled from: Tribal Voices by Hideyo Blackmoon / In Trance We Trust / Progressive Psy Academy / Punchpack For Virus Ti / Psytrance Rave-O-Lution for Spire / Progressive Psytrance Nation / Dirty Progressive Psy / Summer Psychedelic Trance / Progressive Psy FX / Psytrance Bass Assistant / Psytrance Mega FX / Trance & Psy Vocals / 100% Analog Psytrance / Progressive & Psy For Spire and more sounds added.